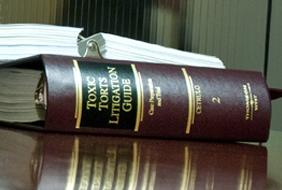 The National Forum for Environmental & Toxic Tort Issues (“FETTI”) was created by the environmental and toxic tort sector of the insurance industry specifically for the industry. Originally the Midwestern Environmental Claims Association, the organization became FETTI to better describe its origins and purpose. Now in its 25th year, FETTI remains dedicated to the professional development of its members in a cost-effective environment. Membership is open to individuals, companies and firms actively engaged in the adjustment, settlement and defense of casualty or property claims arising out of environmental or toxic exposures. Each year our organization convenes in Chicago to host a world-class seminar on a broad range of issues with nationally recognized speakers. Since FETTI is a non-profit organization, it prudently reinvests into the conference to maintain a high standard of quality while keeping costs to a low all-inclusive fee ranging from $150 to $400. Claims examiners and attorneys can earn up to 12 hours of professional education at the conference. While there, attendees also enjoy an array of networking opportunities including a cocktail reception, continental breakfast, lunch and a special evening event at the conclusion of Day 1. Attendees tell us the conference materials alone are worth the price of admission, and those materials are now available to all attendees online for several years after each conference concludes.